The CCP seems intent on bringing Hong Kong into line. Hong Kong had suffered “more than a century of vicissitudes”. So declared Jiang Zemin on July 1, 1997, at the return of the colony to “the motherland”. Twenty years on from the handover of the British Crown colony, the people of Hong Kong are increasingly experiencing the vicissitudes of communism. Claimed as a spoil of the first Opium War in 1842, Hong Kong was the last significant colonial outpost relinquished by the British. Zimbabwe had gone in 1980, and in 1984 Margaret Thatcher, of all leaders, agreed to terms with Deng Xiaoping for the handover of the territory to the People’s Republic 13 years later. While it had not been an electoral democracy, people who lived in the colony had freedom of association, expression and the rule of law administered by an independent judiciary. This was key to its appeal to those, whether expats or refugees seeking an outpost of liberalism in a largely illiberal Cold War Asia. But it was also fundamental to the economic dynamism of the trade and finance hub. The confidence that multinational firms, banks and entrepreneurs had in the commercial rule of law, from contracts to intellectual property rights, made the city a remarkable economic success story. Deng’s China had agreed that even though the party-state’s flag would fly over The Peak these freedoms would continue. Indeed, in 1984, less than a decade into the “reform and opening up” program, and in the very first days of the special economic zone initiative, these guarantees were seen as a vital part of the broader program revitalising China’s economy. Hong Kong promised to be one of the most important engines for economic growth; it made no sense to undermine the foundations of that success. One China, Two Systems was the slogan in 1997, but it also signalled something more. The PRC was moving away from its command economy past and toward a more market oriented future. And at the time, one of unalloyed liberal optimism, some thought that the Hong Kong settlement might be an experiment in political pluralism. Hong Kong could be a model first for Taiwan and then possibly also for a more open Chinese system. Two decades after the handover and the party-state is uneasy about that the implications of the exceptionalism of “one country, two systems”. Rather than embracing the pluralism that was inherent in the agreement with the UK, the Chinese Communist Party seems intent on bringing Hong Kong into line. But it is discovering that this may be a more difficult task than it realised. Beijing seems to have fallen for the tired cliché that Hong Kong people are more interested in money and shopping than they are in political issues. As China scholar Graeme Smith recently said on the excellent Little Red Podcast, Hong Kong is not Singapore. It has long had a politically engaged populace. In 1967, more than 50 people died in riots prompted by discontent with British rule. In 1970 frustration with public transport boiled over. The CCP should not have been surprised when in 2003, it attempted to bring the Basic Law – the quasi constitutional arrangement established in 1997 – in line with the mainland’s authoritarian sedition and public security arrangements, the people of Hong Kong protested in huge numbers. Popular protest against public transport changes occurred in 2007 and in 2014 the “umbrella revolution” showed the depth of pro-democracy sentiment in the SAR, especially among the young. 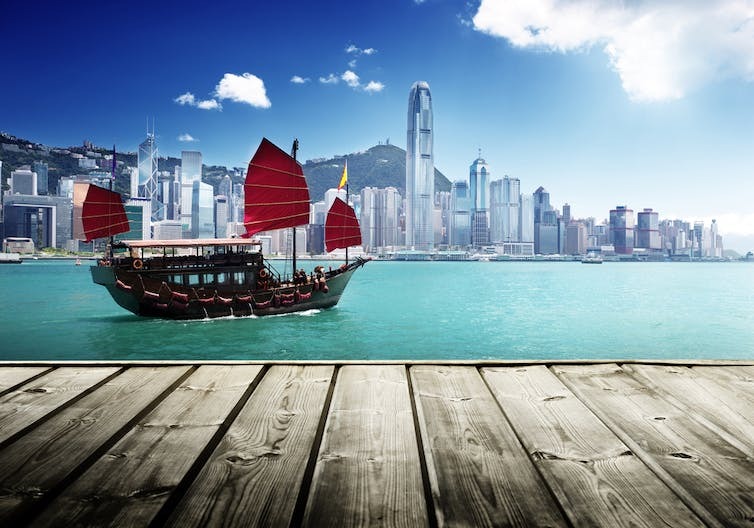 Now, there is what has come to be known as the “locallist” movement, which seeks to retain Hong Kong’s distinctive features. It aims to frustrate Beijing’s desire to turn July 1, the felicitously named Special Administrative Region Establishment Day, into a celebration of national glory. Hong Kong has always been exceptional. From its architecture to its accents, the people’s attitude to their appetites, Hong Kong is unlike anywhere else. Given this, it is understandable that the party state would want to turn the city into a model communist enclave. The problem is that that which makes Hong Kong vibrant, cosmopolitan and globally engaged sits very uneasily with CCP dictates. As the party state embarks on the difficult journey moving from a middle to a high income country, it should reflect on the problems it faces in Hong Kong. A people who have enjoyed 150 years of freedom do not enjoy those ideas being shackled. And it is those very ideas that are needed for the PRC to make good on its ambition to become a genuinely prosperous country. At some point the CCP has to make its peace with the freedom of ideas and a plurality of voices. Hong Kong should be the place where it figures out how to do this. Instead, 20 years on from the handover, rather than being a pathfinder for pluralism, Hong Kong looks like it will become another Xinjiang; a troublesome region that needs to be brought to heel. This clamping down on the freedoms agreed to in 1984 is hardly the sign of a strong and confident country looking to project leadership on the global stage.